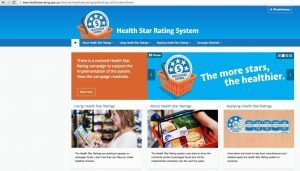 The Health Star Rating System website was relaunched last Friday. Government minsters approved the revised system at the end of June this year, after nearly three years of discussions between government, health professionals, consumer groups and food industry. 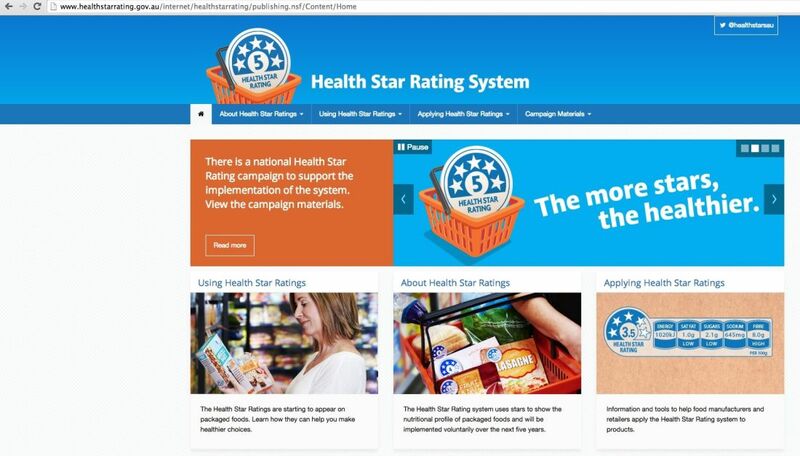 The aim of the Health Star Rating System is to make healthier choices easier. The Health Star Rating System is a voluntary option for food manufacturers. Several companies have already adopted the system and you will start to see more products displaying the star. The star rating appears on the front of food packages. The system allows for nine levels from ½ star to 5 stars. Five stars indicate the highest nutritional quality for a particular type of food product, for example breakfast cereal. The system is designed to compare products within the same category, such as breads, yoghurt, muesli bars and breakfast cereals. The nutritional quality of a product is based on a 100g or 100ml serve to allow for comparisons between products. It refers to the energy (kilojoules or calories), saturated fat, total sugars, salt, protein, dietary fibre, fruit, vegetables, nuts and legumes content of the product to calculate the star rating. A food product that is low in sugar, salt and saturated fat and high in dietary fibre will have a higher star rating than one that is high in sugar, salt and saturated fat and low in dietary fibre for example. The Health Star Rating System penalises products that are high in sugar, salt and saturated fat, as an excess of these nutrients are linked to obesity and chronic lifestyle diseases such as diabetes and heart disease. Food companies have the option of displaying just the star rating or the energy and nutrients as well, as shown below. The star and nutrient logo must include details about sugar, salt and saturated fat and energy. It also allows for an additional nutrient that provides health benefits such as fibre or protein. During a walk around my local supermarket yesterday I found one breakfast cereal product displaying the new health star rating system. Other products had the nutrition information panel with or without the front of pack display of percentage daily intake (%DI) of nutrients. The %DI (see below) for energy is based on the average adult energy intake of 8,700kJ. The nutrients provided are based on the recommended serve size, such as 40g, which may differ to what you eat. It is more difficult to compare products based on %DI information as the serve sizes differ between products. The new Health Star Rating System takes the nutritional comparison between products one step further than the %DI information. It considers the energy and nutrients contained in a food product and then compares it to set criteria to calculate the star rating. Ideally the new system will be evaluated based on ease of use for consumers and also product sales. I am interested in hearing from you concerning these changes to food labelling. And I welcome your thoughts and comments about choosing healthier food products.